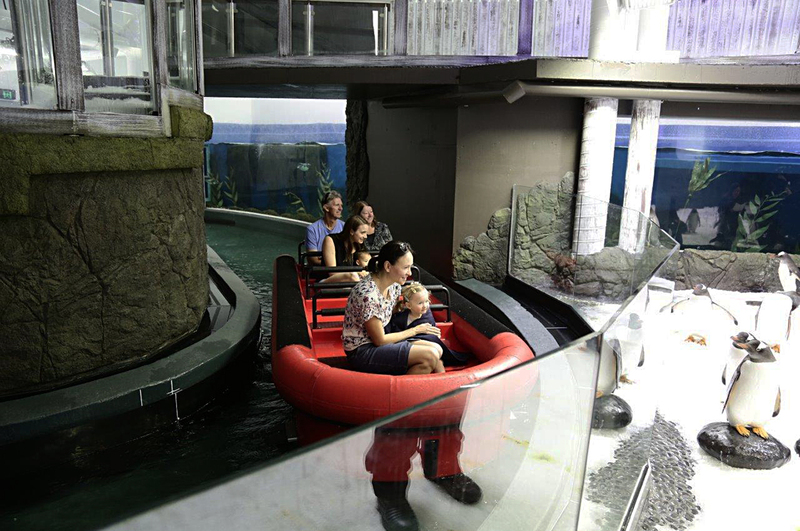 Embark on a journey of amazing discovery through SEA LIFE Sydney Aquarium's extraordinary themed zones including the all–new Penguin Expedition, a world-first King and Gentoo penguin experience with a ride. Get face-to-fin with over 13,000 animals from 700 different species including majestic dugongs, jaw-some sharks and array of tropical fish! 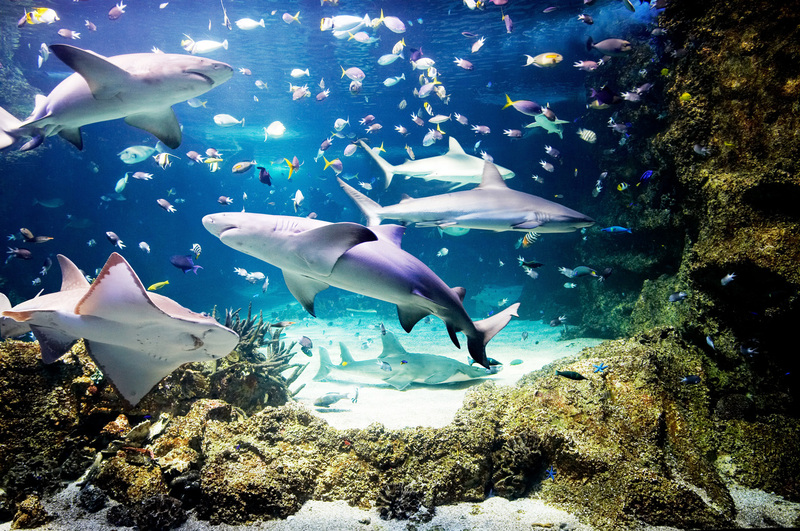 SEA LIFE Aquarium takes you on an underwater journey through Australia's unique freshwater and marine environments. 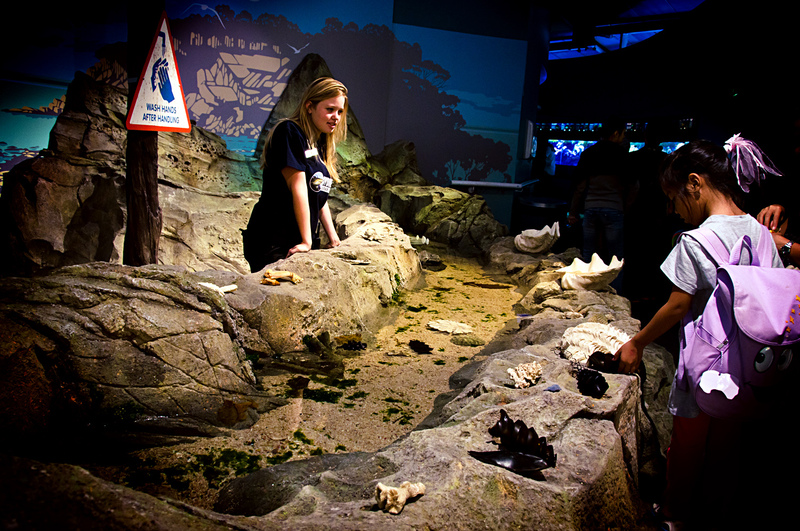 South Coast Shipwreck - Set amongst this beached shipwreck environment you can discover a vast array of animals native to the Southern Oceans. This zone is home to our incredibly popular colony of Little Penguins, who can be seen darting through the water and waddling across the beach while going about their very important little penguin business. Sydney Harbour - Here, among the stilted piers and platform decks you'll discover animals that are native to one of the most iconic harbours in the world. 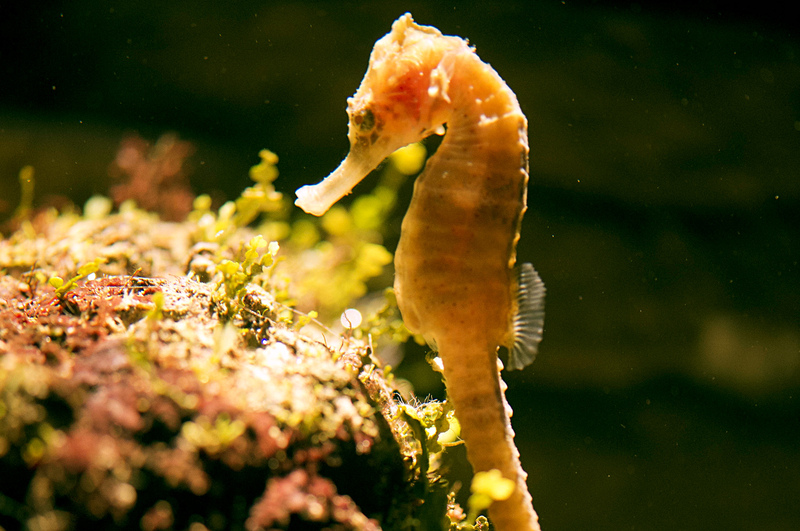 With over 600 species of fish inhabiting its depths, Sydney Harbour is a vital link in the ecology of the coastline and our themed zone provides a snapshot of what lies beneath - it's as beautiful as above the surface! Dugong Island - Home to our dugong, a beautiful animal which legend has it were mistaken for mermaids by early European sailors arriving in Australia's waters. Pig can be seen from above and in the viewing tunnels below. Dugong Island also hosts a range of other amazing animals, including White Spotted Eagle Rays, various shark species and dozens of species of fish. Shark Valley - Face your fears on the Shark Walk and walk over some of the world's biggest aquarium sharks, including Grey Nurse Sharks, before journeying deep under the sea and exploring the depths of Shark Valley. When journeying through the parallel underwater tunnels you'll also come across our huge Queensland Groper - a fish even our sharks are scared of! 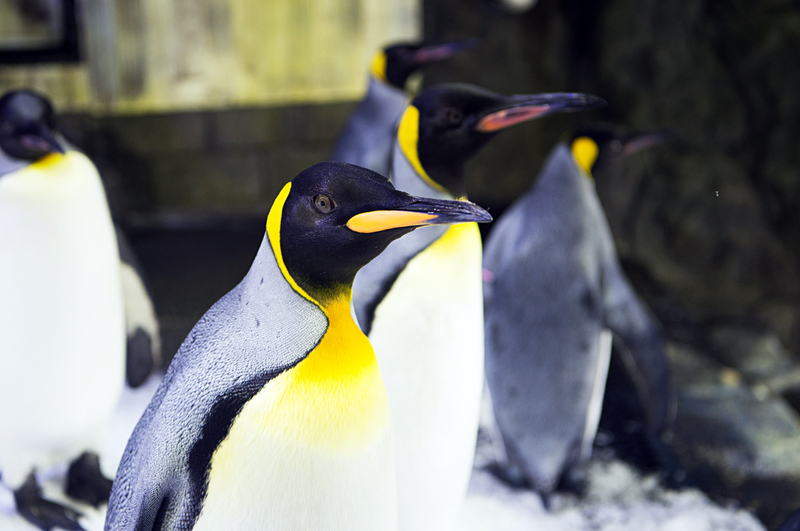 Penguin Expedition - An immersive experience allowing you to get up close and personal to a spectacular colony of King and Gentoo penguins during a sensory and educational sub-Antarctic boat journey! 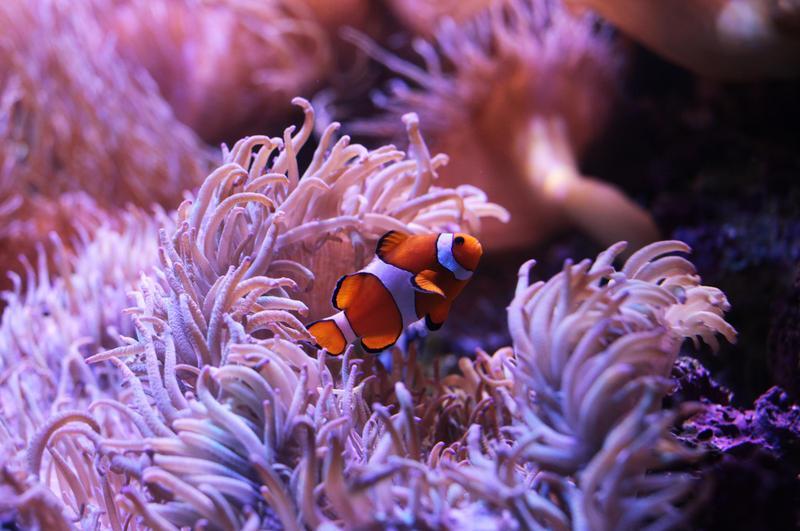 Great Barrier Reef - Experience the iconic wonders of the Great Barrier Reef at SEA LIFE Sydney Aquarium’s brand new exhibit. Set entirely on the reef as it transitions through night and day, life on the reef is recreated for guests to encounter & experience, across 24 hours of the day. This new exhibit uses state of the art technology to deliver a totally unique, interactive experience & is the largest Great Barrier Reef exhibit in the world! Jurassic Seas - Jurassic Seas takes you into the depths of the ocean to see where life began and meet weird and wonderful living fossils. Learn about evolution and discover the mysterious nautilus, Port Jackson sharks, jellyfish and lungfish. 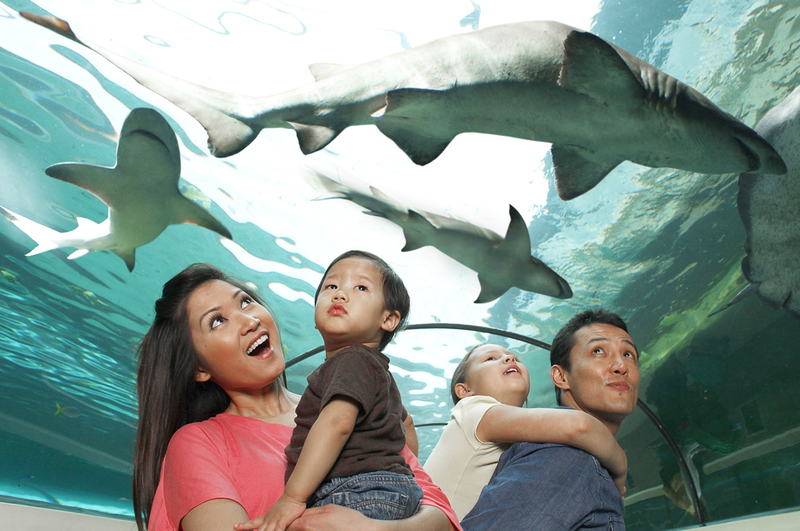 Face your fears on the Shark Walk and walk over some of the world's biggest aquarium sharks before journeying deep under the sea and exploring the depths of Shark Valley. 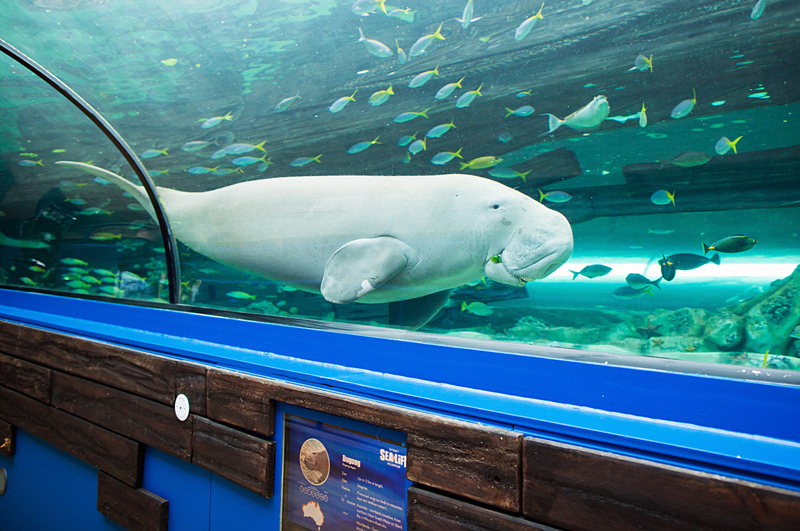 Dugong Island is the home to our dugong, a beautiful animal which legend has it were mistaken for mermaids by early European sailors arriving in Australia's waters. The new Great Barrier Reef exhibit uses state of the art technology to deliver a totally unique, interactive experience & is the largest Great Barrier Reef exhibit in the world! Here at Sydney Harbour, among the stilted piers and platform decks you'll discover animals that are native to one of the most iconic harbours in the world.